George Sykiotis remembers the meal his mate, celebrity chef George Calombaris, cooked the night they cemented their business partnership on a handshake. The two Melbourne men, sons of Greek migrants, complement each other. Calombaris is the frontman with the knife skills, the chef with an outstanding creative culinary touch. The fast-talking Sykiotis is the money man who makes their plans work. “George is the soul of our business, I’m the heart of the business,” he says. Together with two partners they run Made Establishment, which is behind some of Melbourne’s big-name restaurants including Press Club and Hellenic Republic. Much has been made of their unusual approach to establishing new restaurants. They don’t just create the restaurant, they buy the property it’s on. Sykiotis’ skill with numbers emerged in childhood when he did the books for his parents, who ran a series of cafes across Melbourne. He maintains he can still add faster than some calculators. He calls it “smelling numbers”. His ability in commerce was cemented at the University of Melbourne, but not until after learning a painful lesson. It happened in 1989, during his second year. He was 18. The board gave him another chance: probation and part-time studies for two years. Afraid of what his parents would say, he told them he was opening a restaurant and would therefore be studying part‑time. All he had to do was find a restaurant. He did, opening up in Lonsdale Street opposite the Owen Dixon Chambers. It proved a success so he started another. 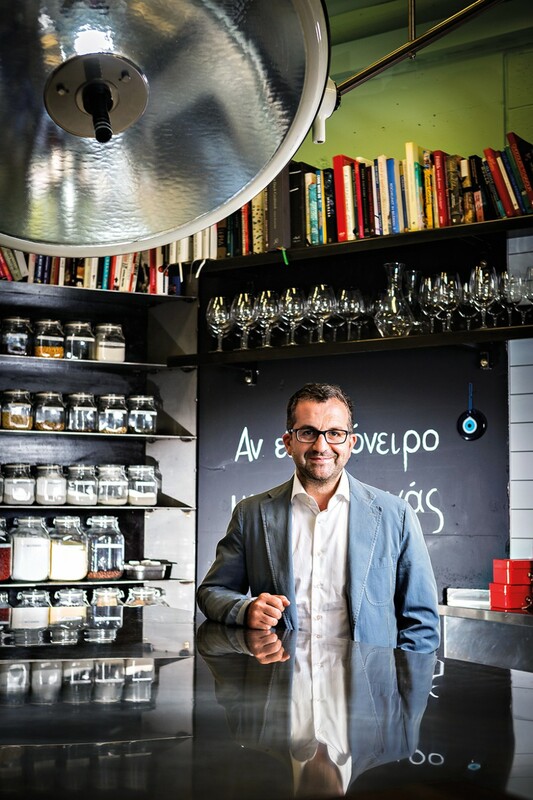 Eight years after starting at the University, Sykiotis graduated with a commerce degree. And most importantly, he adds, he was given a second chance.